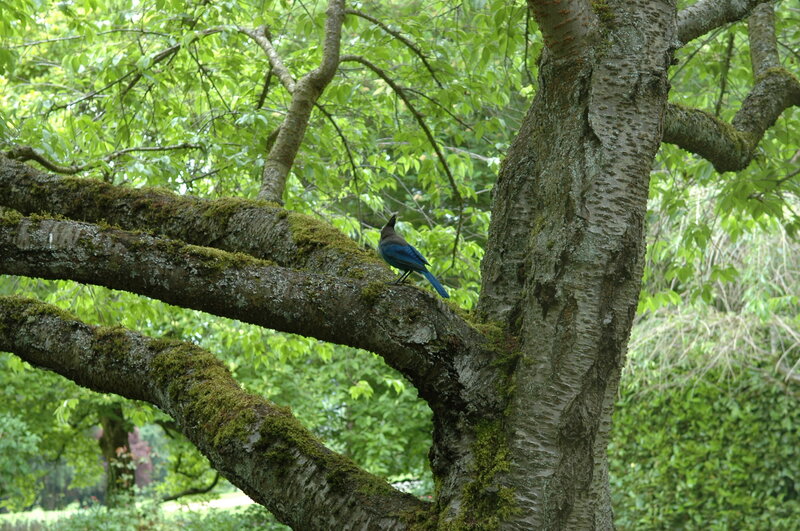 In my post a week ago about Spring Visitors, I mentioned in passing the Stellar’s Jays who have been spending a lot of time at our bird feeder. They’re lovely to look at, but since I mentioned them, they’ve shown their true colors. They’re pleasant enough when we’re around. But poor Emma. 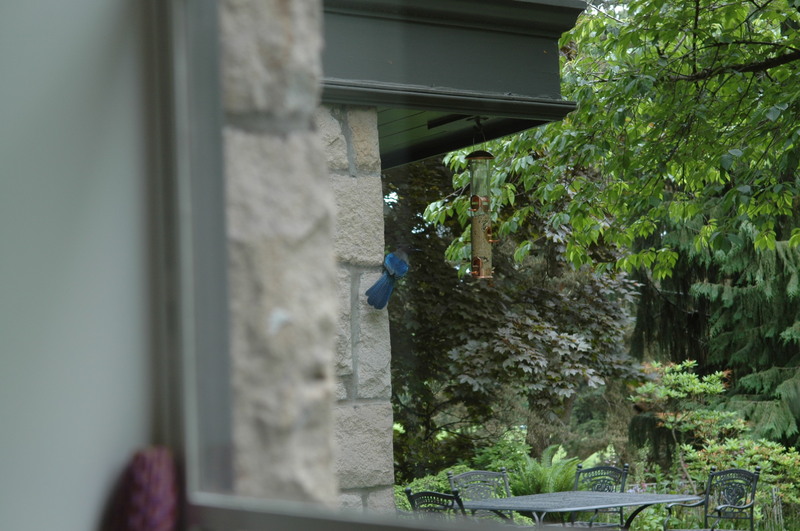 If she heads out the back door in mid-day, within seconds one of the jays flies down to our patio chairs or the low branches of the giant maple tree and squawks like crazy. 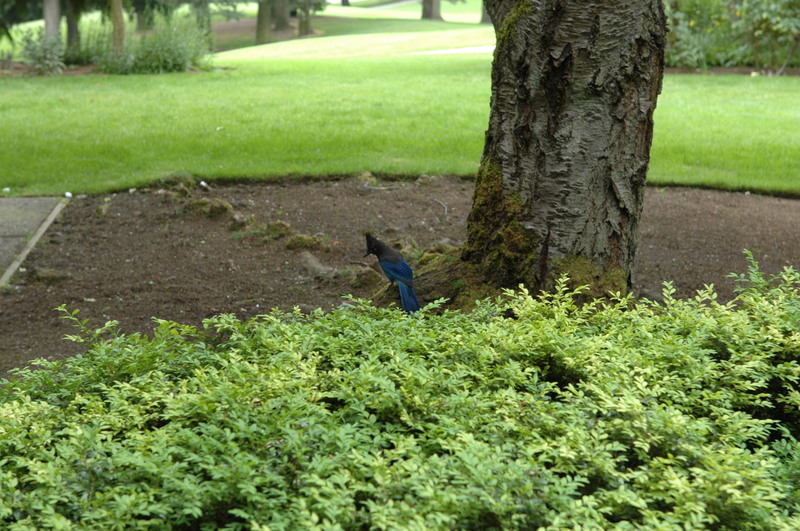 The jay may fly from branch to chair to chair to table to chair to branch to branch, squawking incessantly. I keep telling the jay that Emma has rights too, but to no avail. So what do you think? Are they nesting in the maple? I’m thinking so. It’s fascinating that they instantaneously identify Emma as a threat, but allow us to go about our business. They might have been right once, but now she’s just a slow-moving 15-year-old heading outside for sun, warmth, fresh air, and a taste of the old days. Her running, chasing, hunting days are past. The jays are most unkind.